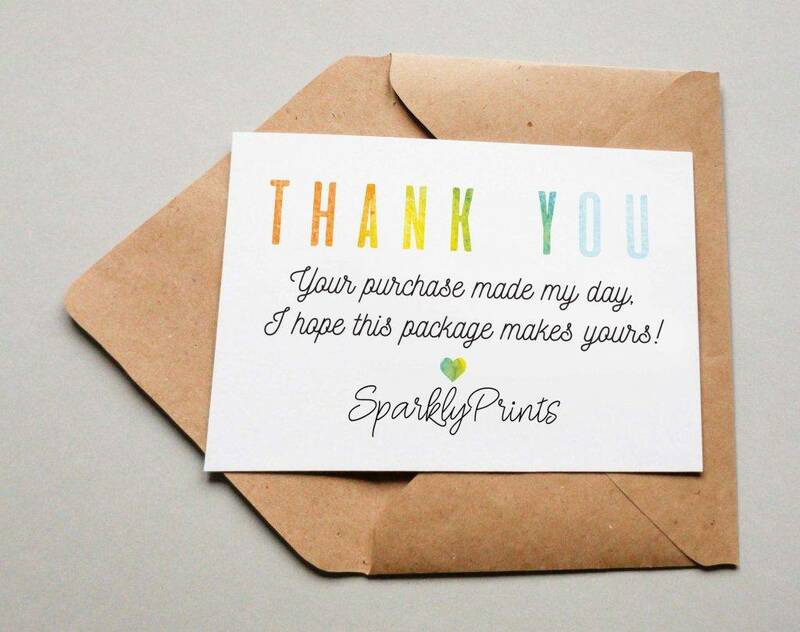 Have you ever tried ordering something online, had it shipped over to your place, and upon arrival you find a small thank-you card along with your item? 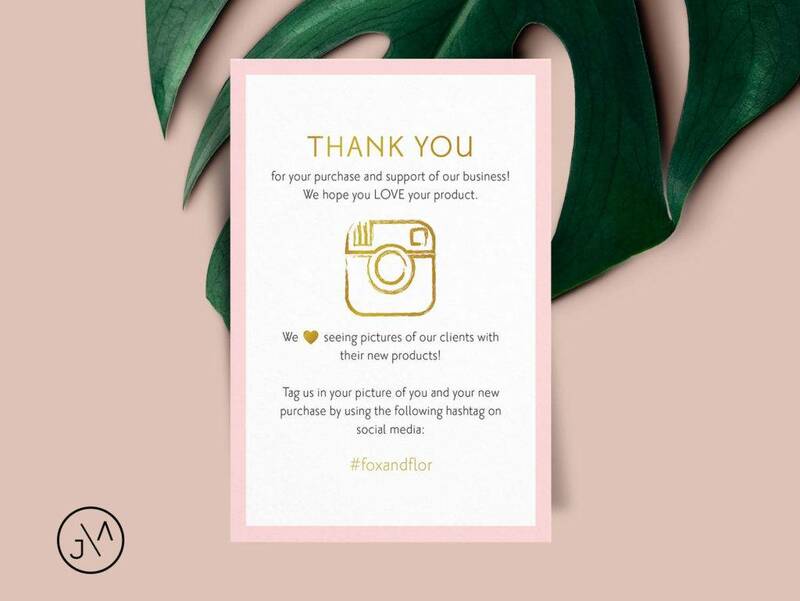 It’s not unusual for companies, whether it’s a large or small-scale business, to express their gratitude for a customer’s support through the use of a simple thank-you card. While it may not be a groundbreaking act that deserves some sort of girls scout medal, the whole idea behind it is still something we could appreciate. 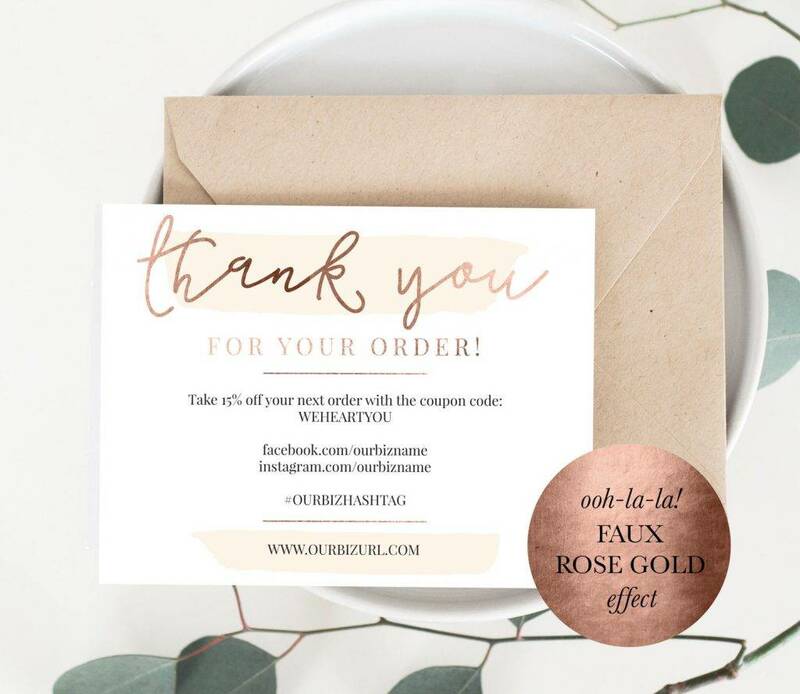 Thank-you cards come in all shapes and sizes, and may be used for a wide variety of reasons, be it a wedding thank-you card or a business thank-you card. The act of sending business thank-you cards may be common, but that doesn’t mean every company is doing it. That’s because some businesses don’t realize what it means to build a relationship with their audience, the thought of treating their customers as friends than actual money-spending consumers. On the other hand, businesses that do give importance to it have successfully scored brownie points with their respective market. It may not sound practical to do it for every customer, especially if you have an average of a hundred orders coming in everyday, but it’s still a good act to apply every now and then. If someone does you a favor, how do you repay them? Some would answer with money-related actions, probably a small gift or a lunch out, but showing a person how thankful you don’t always have to cost you. Believe it or not, you could make someone feel fulfilled and contented with a simple “thank you.” When running a business, it’s pretty much the same scenario. You could always extend your gratitude to customers, investors, and other stakeholders by saying “thank you,” and if you want to go the extra mile to do so, a card will do the trick. 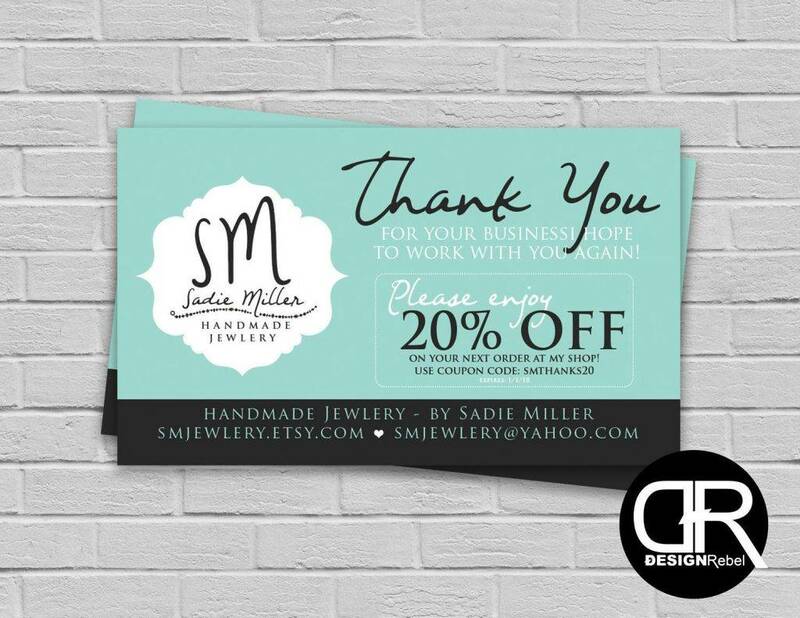 The content of your business thank-you card may vary, depending on the relationship you share with the recipient. 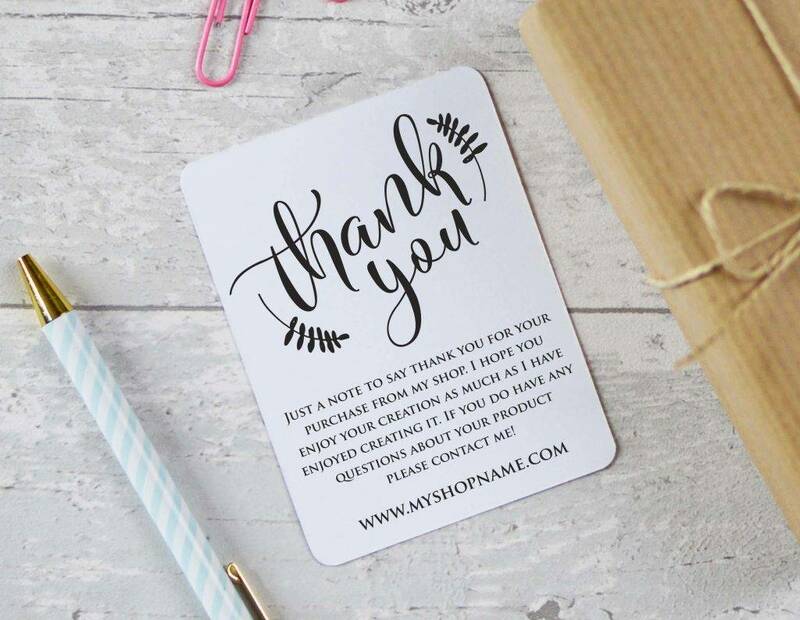 Although business thank-you cards can be quite generic in form, you could always make it seem a bit more personal by addressing the recipient properly. The whole concept might not seem like a big deal to you, but the effort put into it is certainly something to take notice of. 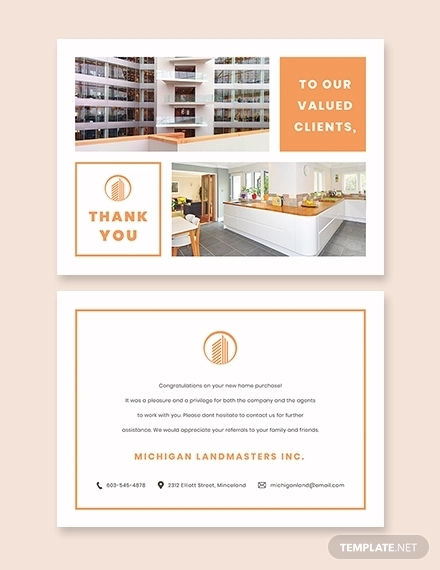 Most companies would advertise their brand through designer brochures and business flyers, but did you know thank-you cards could also serve as an effective marketing tool? Sure, they may not provide sufficient information about your brand that the average consumer must know about. However, it does leave a positive impression. New customers can feel welcomed, while loyal customers will feel appreciated. It encourages business by emphasizing the sought-after values that a company must hold, break down the barrier between a supplier and a consumer. This, in turn, helps a company differentiate itself from the competition. Nowadays, as consumers, it’s hard not to perceive companies as money-making machines that exist to supply us with the goods and services we need to carry out our day-to-day tasks. But because of our materialistic views, we no longer see the value in good manners. Getting a thank-you card reminds us of the little things in life that we should be grateful for. If you open your mind to it, your purchase means a lot to a business more than you think. 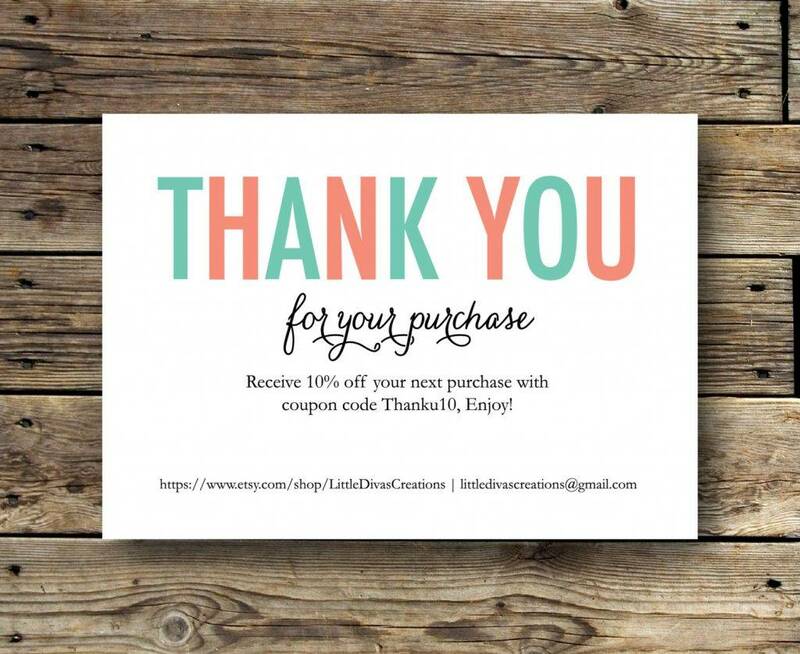 A deeper understanding of the thank-you card makes you realize that the company is expressing their thanks for supporting the brand, the people behind it, and the families that depend on the company to survive. If you take the time to actually read the card, you’ll realize how they could actually be inspirational or motivational in a way. Whether you admit it or not, a thank-you card can surely make one feel valued. Use plantable paper. Ever heard of plantable paper? If you haven’t, it’s a type of eco-paper embedded with seeds. Printing your thank-you cards on an eco-friendly material sends a positive message about your dedication to making the world a better place. But it might be necessary to indicate this on print as well, providing a brief instruction on how it works ensures that the card will be put into good use. Make it a gift card. This is nothing new, as it’s common practice for companies to include freebies, discounts, and promos along with their thank-you cards. By doing so, it poses as a win-win situation for both parties, where customers could benefit from the discount and you could potentially earn a profit. Also, recipients are more likely to hold onto the card for future use or as something to share with friends and family. Have a gimmick. 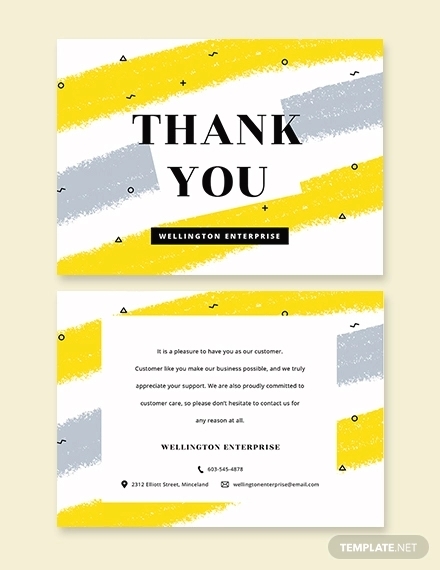 A lot of companies come out with a series of collections every season, giving you a great idea for a unique gimmick to add to your thank-you cards. 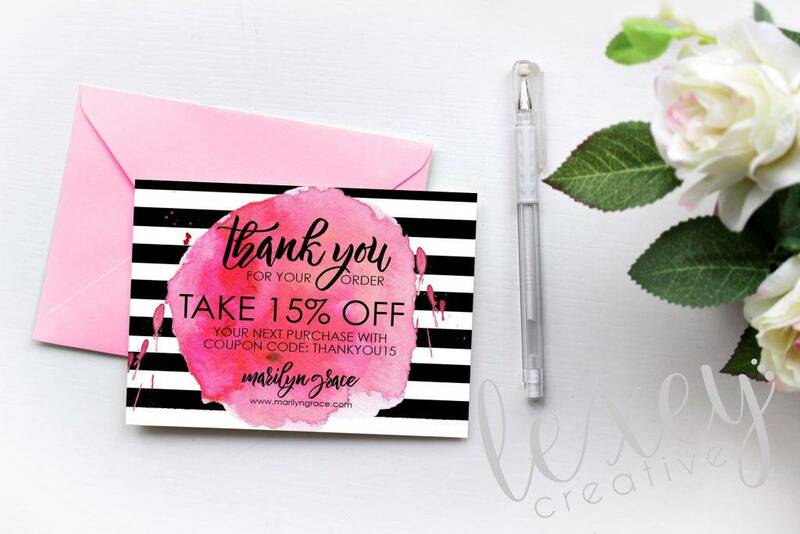 For instance, if your company releases a line of candy-scented make-up, then you could always create candy-themed thank-you cards to reinforce your brand. You can even include a catchy punchline to go along with it. This allows you to become creative with your cards, helping you stick out from the competition. Add pop-ups. You know how pop-up books and greeting cards were a thing back in the day? A pop-up thank-you card consists of a brief message of thanks that would literally pop-out as soon as it’s opened. Recipients would definitely be entertained by such a pleasant surprise. When you run a business, you’d want everything to be done promptly. That would mean taking orders accordingly, then delivering items on time. That being said, it would be necessary to have thank-you card templates readily available for any possible scenario. It might be acceptable to send late thank-you cards to loved ones, but there’s no room for delay when it comes to dealing with business-related circumstances, even if it involves something as simple as a thank-you card. There’s no actual format that you’re required to follow in making your card, so the focus must be on the content itself, specifically the words used and the general message conveyed. It would be best to stick to generic terms in addressing the person, without indicating the gender of the recipient. Try not to sound too robotic by using kind and sincere wording to form your message. After all, the purpose of writing the card is to express how grateful you are in a more personal level. Most people prefer to take a direct approach with their cards but if you wish to go beyond the standard “thank you” stage, you could lengthen your message by clearly identifying what you’re being thankful for. It could either be for one’s continuous support for your brand or cause, or probably for forwarding a complaint that’s essential to the growth of your company. Whatever it may be, it would be nice if you’d discuss what your recipient means to your business. After leaving a good impression, you’d want to establish a longstanding relationship with the given recipient. This encourages the person to continue doing business with you in the near future, opening doors to either a business venture or another purchase. The secret is to sound heartfelt and inviting, as this allows you to develop a connection with your audience. 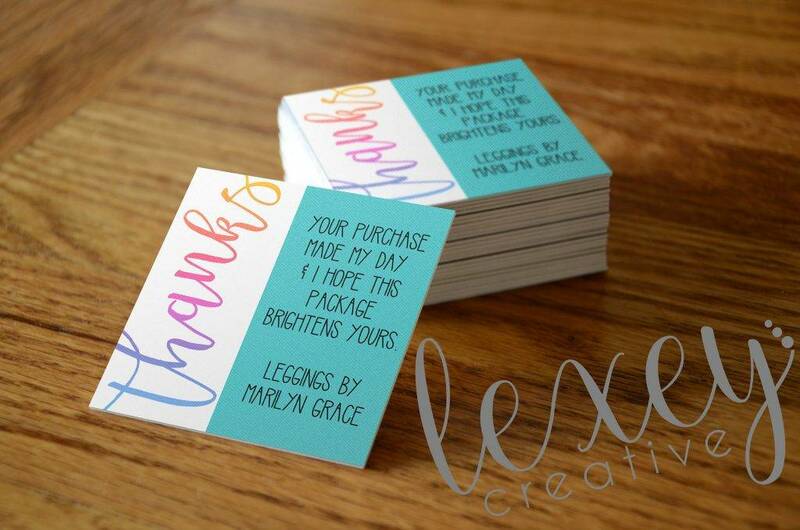 This isn’t completely necessary, but it’s highly encouraged if you want to be professional with your thank-you card. You could add a friendly closing to your message, along with a signature. This could be the team name of the company behind it, or possibly the first name of one of your employees. Adding a signature to your card gives it a more touch as well. Finally, be sure to proofread and review your card before sending it. In this world of particularly observant individuals, spelling and grammatical errors are likely to leave a bad impression among readers. Writing a thank-you card isn’t all that difficult, nor will it take too much of your time to create. At the end of the day, all that truly matters is the thought behind the card, specifically the time and effort put into it, as well as the sender’s purpose for writing. 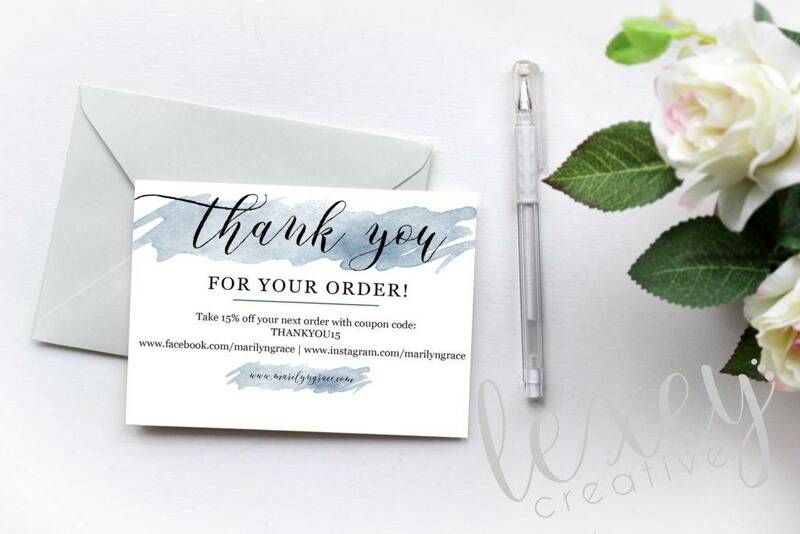 It doesn’t have to be the most expensive-looking card in the market, as a simple yet meaningful business thank-you card is enough to make anyone smile.